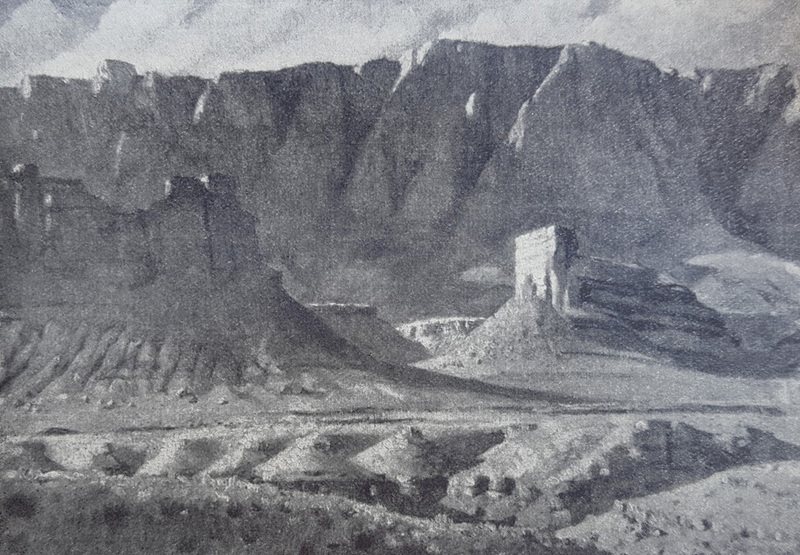 Priestley also noted that she had “an unusual gift of sketch portraiture, at once rapid, graceful, truthful.” She had painted many portraits through her career, including paintings of two of Priestley’s children, several of her Arizona friends, English actors Stewart Granger and Hugh Williams, many of her neighbors and friends in Dorney, as well as numerous Navajo people living in the Marble Canyon area. 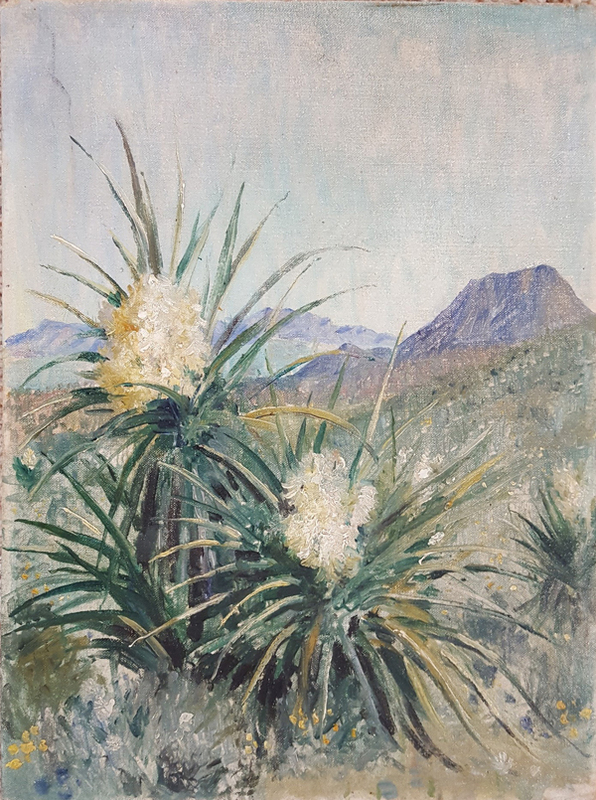 Nora’s work has been shown in the Royal Academy in England, the Royal Society of Portrait Painters, and the French Salon in Paris. 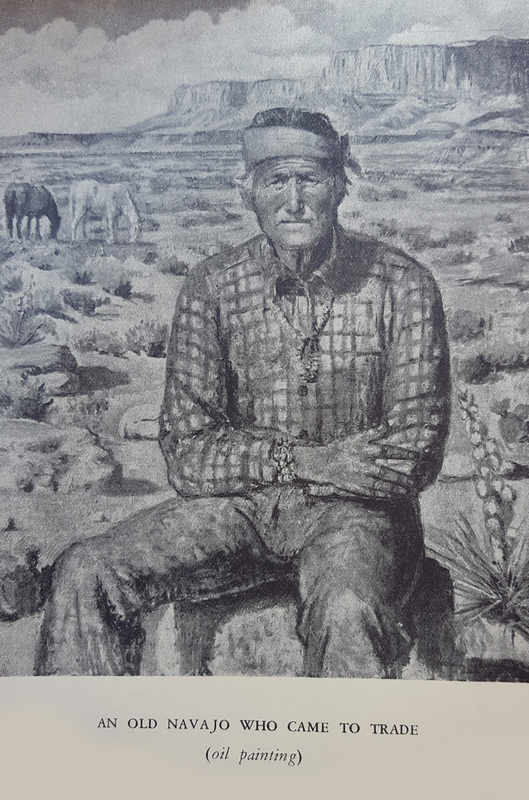 Paintings now hang in the Tate Gallery in London and the Museum of Northern Arizona in Flagstaff, Arizona. 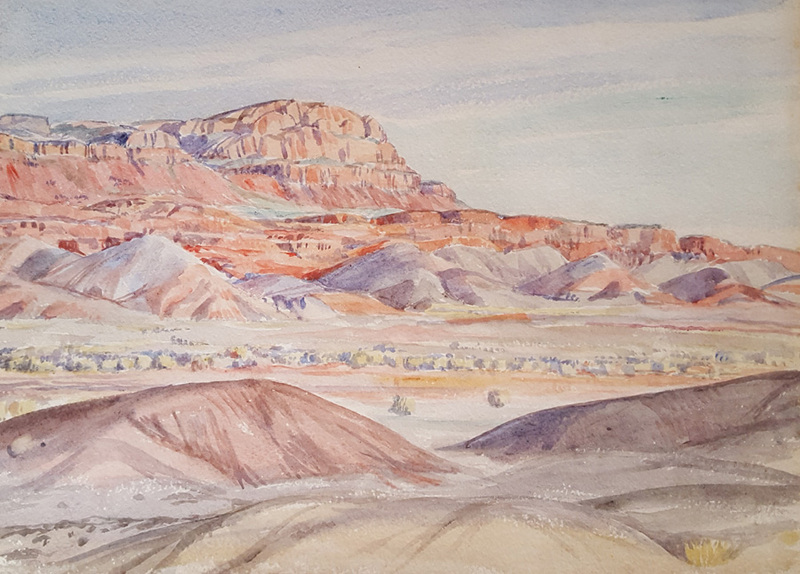 Most of her paintings, unfortunately, have “disappeared” into private collections, likely owned by people who know very little of this adventurous woman who drove alone across America in a Model A Ford in 1935, rode horseback in the wild Arizona canyons, and painted Navajos in their hogans, the vermillion-colored cliffs, and deep gorges of the Colorado River country. 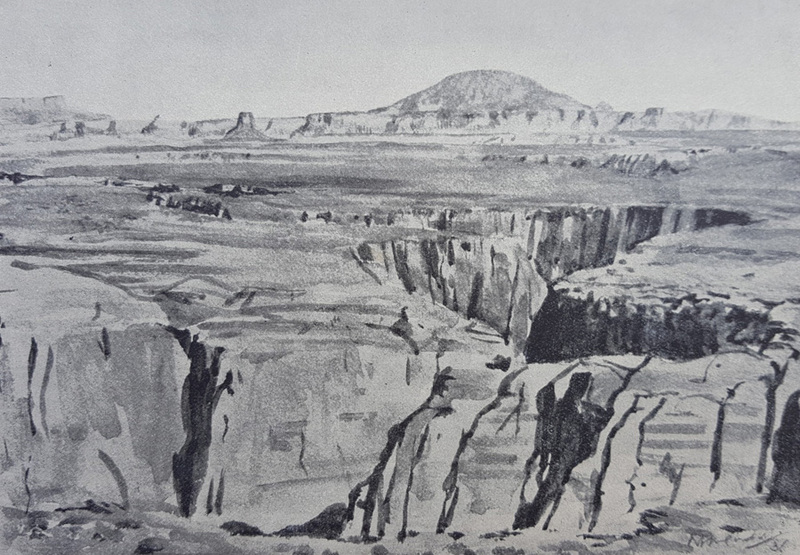 Standing at the base of the dramatic cliffs today, surrounded by the colors and power of the sheer rocky walls, a whisper of Nora's spirit lingers in that wild and beautiful place, and her love of the Arizona plateau country still shines in her paintings of the land that she loved. 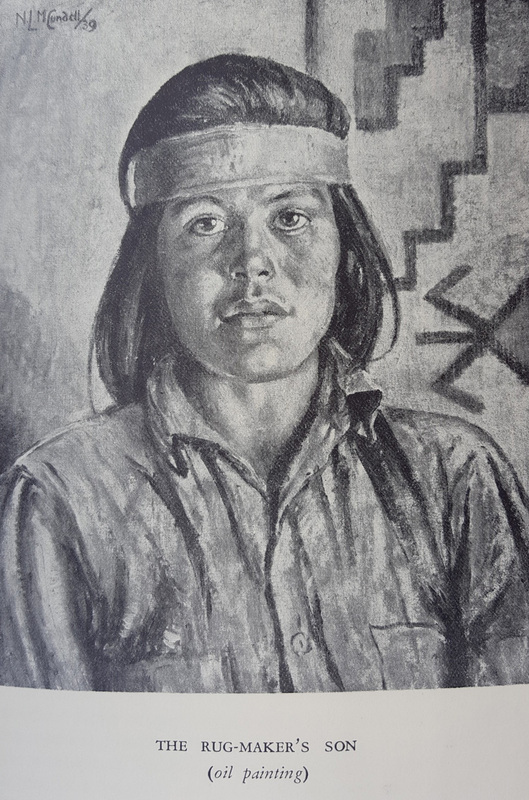 1935 sketch of Shine Smith, a defrocked preacher who spoke Navajo and worked at various trading posts in northern Arizona. Courtesy of Tom Greer. 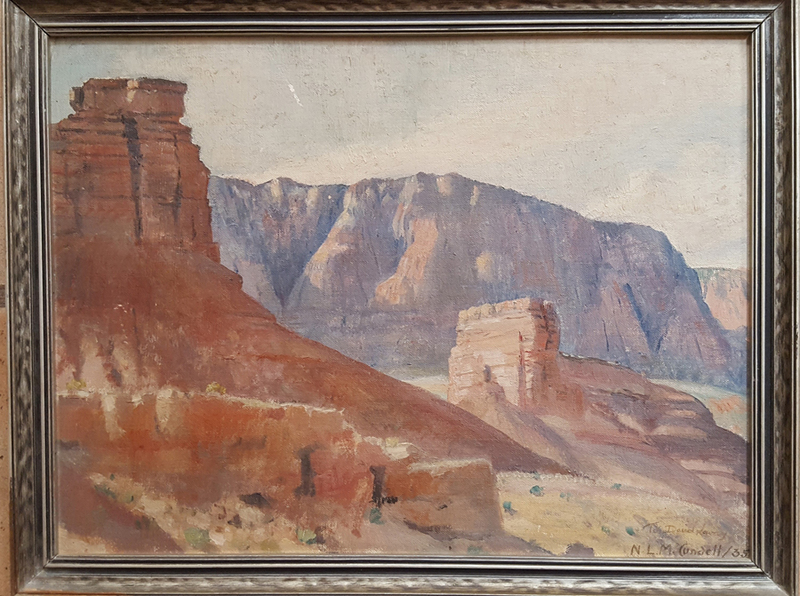 Nora's 1935 painting of the Vermillion Cliffs is signed, dated, and inscribed "To David Lowrey"
Nora often painted watercolor landscapes when she hiked the hills around Marble Canyon. 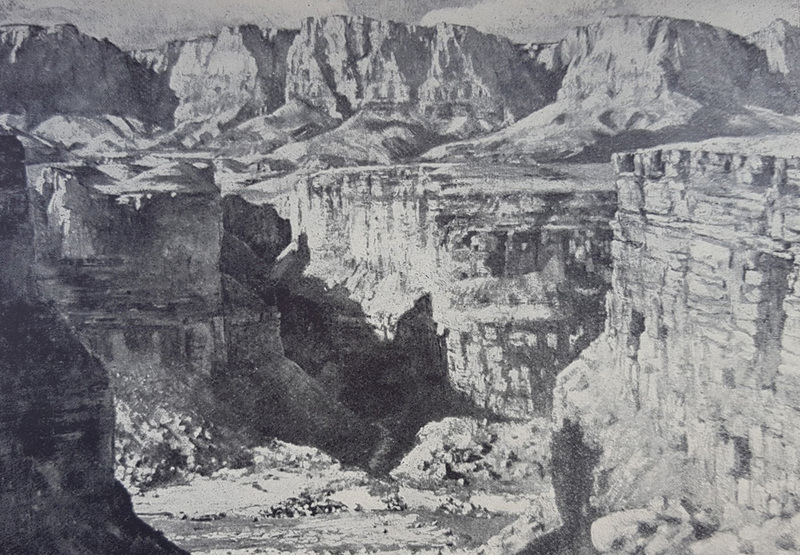 The back of the painting "Yuccas, California"
Badger Creek Rapids, The Colorado between Marble Canyon and the Grand Canyon, oil, 1936. From Unsentimental Journey. 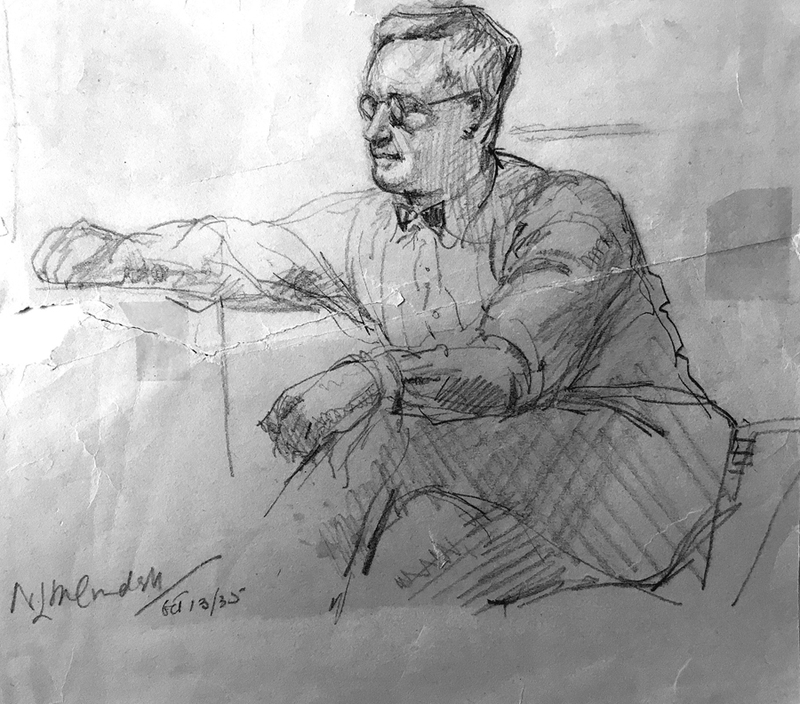 Superintendent McGill, oil, 1942. Image copyright Museum of the Order of St John, London. 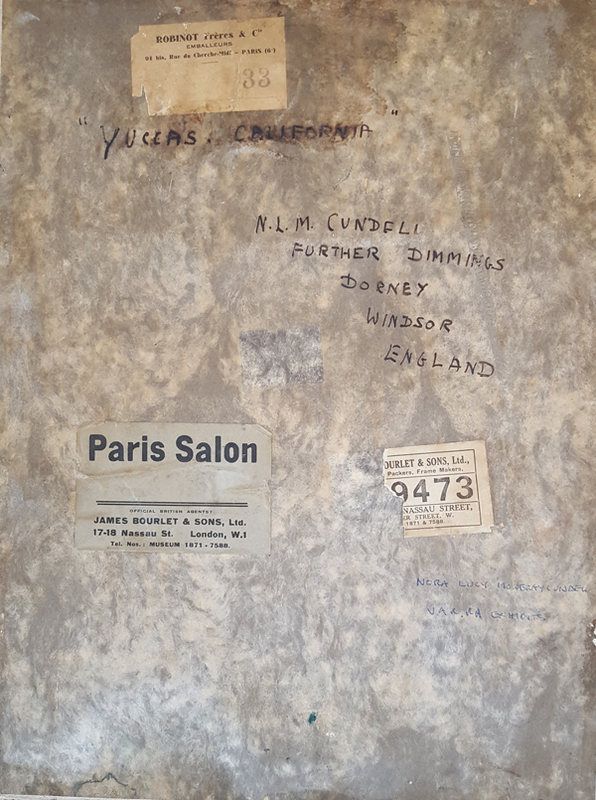 During World War II, Nora Cundell was a Casualty Superintendent in London, part of the civilian defense organization formed to protect citizens during enemy bombing raids. Nora, who had driven alone across the United States a few years previously, now drove an ambulance through London streets during the night, transporting injured victims to hospitals. This would have been a highly dangerous job, traveling through the dark city during the blackout, exposed to the explosives and fires erupting all around from the incendiary chemical and gas bombs dropped by the German Luftwaffe. 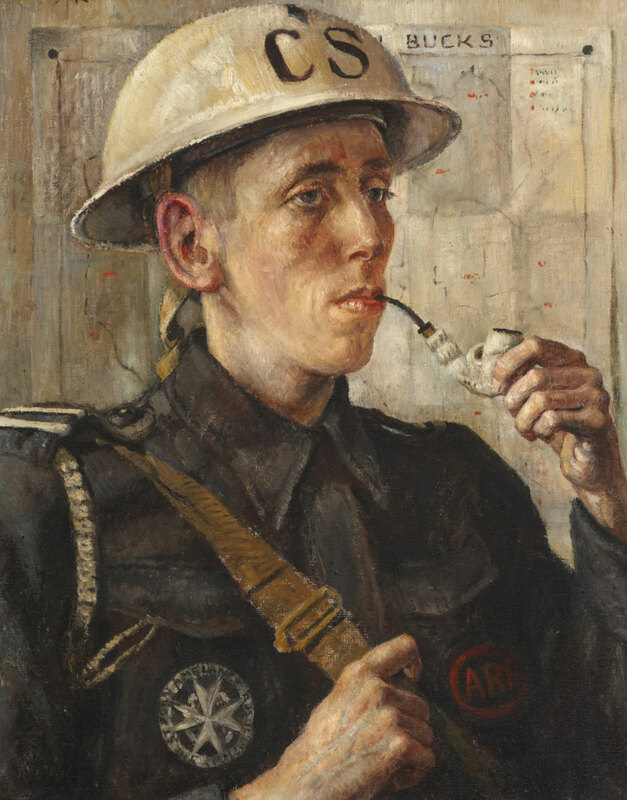 The red-on-black badge, “ARP,” on Superintendent McGill’s uniform, stands for Air Raid Precaution, and the round emblem, a silver badge, is that of the St John Ambulance Association. The letters “CS” on his helmet indicate that he was part of the Casualty Service, working as a First Aider or with the Ambulance Service. It is likely that Superintendent McGill and Nora were colleagues during the Blitz and through the war years. The Order of St John is an ancient religious military Order with origins in the eleventh century in Jerusalem. During the Crusades the Order founded a hospital to treat pilgrims, which continues today, in addition to its modern-day role with St John Ambulance, an international first aid charity.